This package takes the Majik DSM one box system and matches it with Majik 140 speakers for optimum performance and powerful, immersive sound in your own home. Earn 4295 loyalty points when you order this item. Linn Majik DSM System with Majik 140 Speakers combines full-blooded floorstanding speakers and the incredible versatility of Linn's Majik DSM network music player with built-in amplification - it's a killer combination. 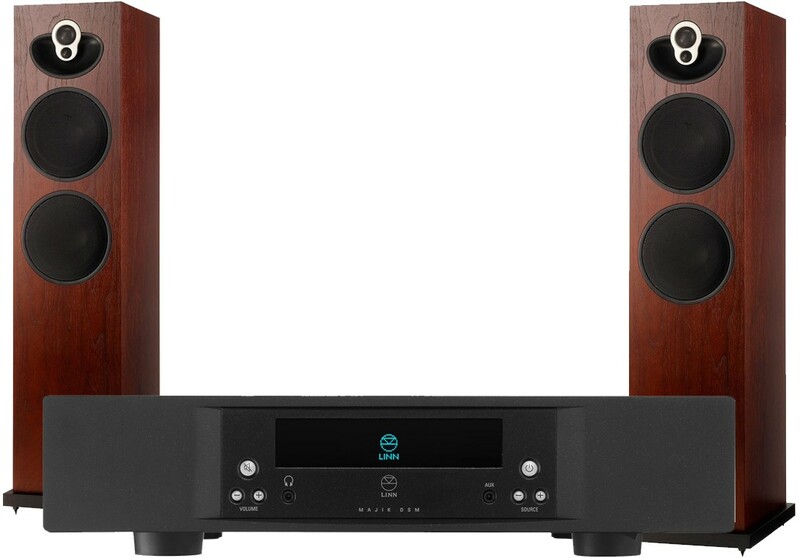 Let the Majik 140 System introduce you to the music you thought you knew well. It may be our entry-level floorstander but it has decades of class-leading speaker design behind it, all focused on getting you closer to the music. Few other speakers at this level can boast Majik 140's credentials. The four drive units on each speaker supply power and precision in the bass and midrange, together with incredible clarity and smooth, even dispersion at high frequencies. 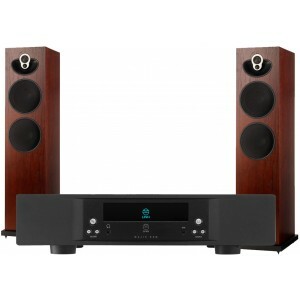 All this technology means that no matter what you listen to, Majik 140 will serve it up with an effortless enthusiasm. Stream all your online music, listen to Internet radio, or connect your TV. Whatever you're listening to, Majik DSM gives you access to it all in one place, and all in stunning sound quality. Like all Linn's network music players, it has Space Optimisation built in, so you'll hear a performance personalised for you and your room's unique characteristics. Stream everything, connect anything. With a Linn DS player, inputs for all your other sources and built-in amplification, Majik DSM has it all covered. We include 6m of QED Silver Anniversary XT speaker cable or if this isn't in stock, we will offer 6m of the next closest alternative of QED speaker cable. This is included as a single length (unterminated) for you to cut and use as you prefer) to connect the amplifier to speakers.